At the same time, the developers of Sandbox Interactive have also made the so-called Character Builder available with the launch of the Albion Online game. Albion Online relies on a classless character, so the protagonist is heavily dependent on the equipment for which task it is best suited. The choice of the right equipment is therefore crucial for the success, and here the tool addressed comes to the train. 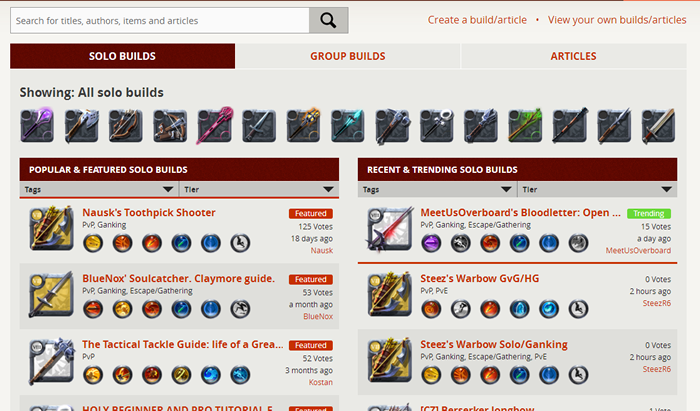 The Character Builder allows you to share your favorite builds of weapons, armor, food and drink with the community, or search for the best equipment builds. The tool also serves as inspiration source. 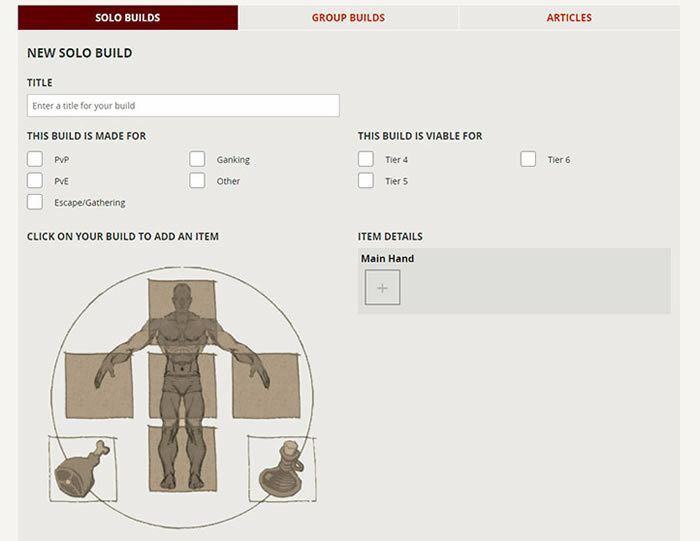 • The Solo Builds are the heart of the Character Builder. Here the players present their favorite builds for various tasks, such as PvE or PvP combat, gatherers, gankers and other roles. • Group Builds focus on the build of the group. Who wears which equipment for the next guild? Guild battle, the next prey as a roving turnout? The teaming-up and synergies of the individual members play an important role here. • In the Article section you will find all available guides and descriptions for all possible opportunities in the world of Albion Online. The players can also describe their own experiences here and leave helpful tips for other adventurers. Be it the best tips to build an efficient farm, the best places for collecting resources or a complete overview of the main characteristics of the game for absolute novices.